The only country in Central America without a bordering Pacific Ocean coastline (only the Caribbean Sea to the east), Belize is an eclectic mix of Central American ethnicity and Caribbean lifestyle. Characterized by lush green rainforests, stunning flora and fauna (on land and in water), serene islands, and archaeological marvels, the country has been welcoming more and more tourists and cruisers each year. With some of the world’s best snorkeling and scuba diving opportunities, Belize is home to the second-largest barrier reef (after Great Barrier Reef in Australia) – the Great Blue Hole. Formerly known as British Honduras, Belize is the only country in the region with English as its official language. Once home to at least one million Mayans, the country is blessed with several titillating Mayan ruins and structures. Let us now explore some of the popular neighborhoods in the country so you can decide where to stay in Belize during your visit. A small town in the Cayo district in Belize, San Ignacio, commonly known as Cayo, is a charming town located close to the Guatemala border. Considered a great base to explore the country’s Mayan ruins and Cave Systems, San Ignacio is more of a jungle than a beach town. A hub for outdoor activities such as hiking, caving, horseback riding, the neighborhood is an affordable option for travelers exploring the district of Cayo or visit the Tikal Mayan ruins. Xunantunich, also known as “the Maiden of the Rock,” is a must-visit Mayan ruin site. 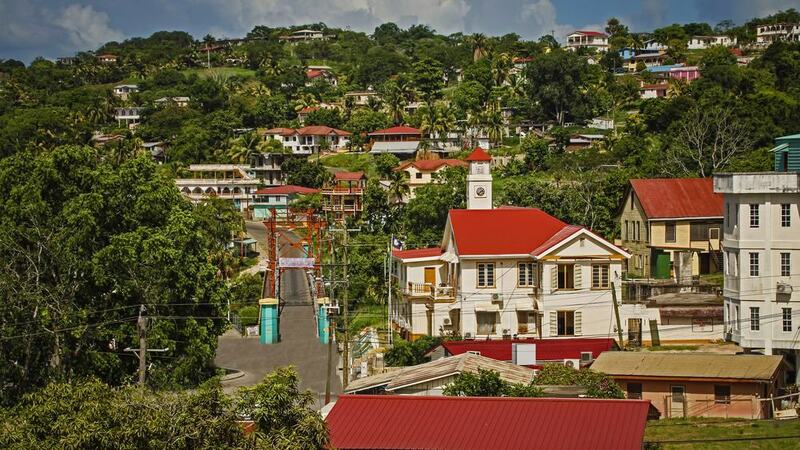 Popular among visitors and Belizeans alike, San Ignacio has a vibrant history and a rich blend of diverse cultures. Good for: All kinds of travelers. Other Highlights: Cahal Pech Mayan Ruin, Tikal archaeological site, Barton Creek Cave, and Canoeing the Macal River. Villa Cayo – A short drive from Cahal Pech, Villa Cayo offers well-appointed villas with extra-large double beds, barbecue facility, iPod dock, and a flat-screen TV with cable channels and streaming service. All units feature a fully-equipped kitchen and free Wi-Fi. Car rental can be arranged at the property. Guests can also choose to cycle or hike around the area. Great for couples. The Lodge at ChaaCreek – Featuring an eco-friendly swimming pool, a health spa, and an on-site organic farm, the Lodge at ChaaCreek is a family-run lodging facility located within a private rainforest reserve. Guests here can enjoy a visit to the reserve’s butterfly farm or canoe down the adjacent Macal River. Walking and horse riding is also possible in around the property. Suitable for couples, families, and small groups. Vanilla Hills Lodge – A short walk from the Mopan River, Vanilla Hills Lodge features spacious, well-appointed bungalows equipped with an elegant wooden décor, a kitchenette, a seating area, ensuite bathroom, and a private terrace that overlooks the surrounding gardens. Located within a tropical jungle, the property offers a great variety of organic meals. Perfect for all kinds of luxury travelers. A mile away from the famous barrier reef system of Belize, the Great Blue Hole, Caye Caulker is a tiny island most popular among budget travelers, backpackers, and those wanting to escape the hustle and bustle of a chaotic life back home. Flaunting its bright turquoise waters and a hippie vibe, the neighborhood follows a motto of “Go Slow” – a motto that both locals and visitors are happy to adopt. 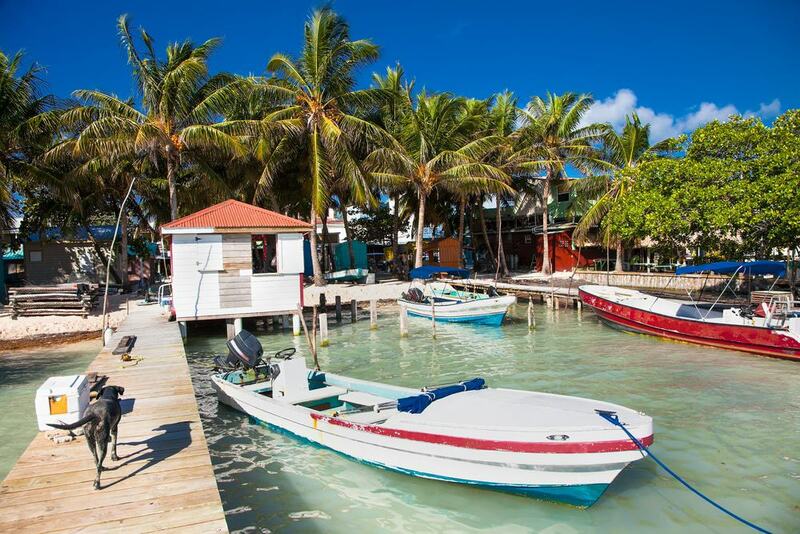 A perfect location to experience authentic Belizean lifestyle amidst a tropical setting, Caye Caulker offers a plethora of activities to keep everyone occupied. Watersports such as windsurfing, snorkeling, and diving are famous in the area for obvious reasons. Visitors can also opt for day tours that include cave tubing, zip lining, or seeing the local manatees. In case you are traveling with a loved one, catching a movie under the stars at Bondi Bar & Bistro is an absolutely blissful experience. Other Highlights: The Split, Sunset Tubing, Snorkel at Hol Chan and Shark Ray Alley, and Caye Caulker Village. Weezie’s Ocean Front Hotel and Garden Cottages – Located on Caye Caulker’s eastern shore, this lavish beachfront property offers stunning views of the barrier reef. All suites and cottage units here are fitted with flat-screen TV, laptop safe, water dispenser, and a fully-equipped kitchen. The hotel property is a couple of blocks away from the cottages and has two outdoor pools while the cottages have one. Guests can rent canoes, kayaks, paddle boards, and snorkel gears for free at the premises. Great for all kinds of travelers. Island Magic Beach Resort – Boasting a sun terrace with an outdoor pool, a beach bar, and a beautiful patio that overlooks the Caribbean Sea, Island Magic Beach Resort offers well-equipped rooms and suites with classic décor and latest facilities only a kilometer from the Belize airport. The property staff can help arrange fishing, scuba diving, and island excursion tours for the guests. Suitable for all kinds of travelers. Caye Caulker Beach Hotel – A stone’s throw away from the beach, Caye Caulker Beach Hotel features well-furnished guestrooms with modern amenities and on-site facilities such as a barbecue, a shared lounge, a terrace, and complimentary Wi-Fi. Cycling trips in and around the neighborhood can be arranged by the hotel staff. Great for all kinds of travelers. Fast emerging into one of the most popular spots for travelers in the country, Placencia, once a quaint village, is now home to some of the plushest resorts in Belize. Fortunately, the presence of such affluent structures hasn’t affected the areas charm and natural beauty. With golf carts being the main mode of transportation around the island, Placencia is a crucial spot for fishing and diving, especially during the whale shark season. Within a short distance from the Southern Cayes and close access to inland excursions, Placencia is a great place to travel to around the year. If you love seafood, Placencia is famous for its fresh but very inexpensive seafood – lobsters are a staple here and a must-try, so much so, that the area has an annual festival dedicated to this large marine crustacean. Other Highlights: Kayaking at Laughing Bird Caye, Monkey River Village, Maya Temple Sites, Lagoon Kayaking, and Snorkeling at the Silk Cayes. The Ellysian Boutique Hotel – Offering water sports facilities, a spa and wellness center, free bike rentals, and free parking facility, the Ellysian Boutique Hotel overlooks the clear blue waters of the Caribbean Sea. Guestrooms at the property come equipped with a flat-screen TV, free Wi-Fi, and private bathroom. Suitable for all kinds of travelers. Naïa Resort and Spa – An opulent property in the heart of Placencia Village, this ritzy resort and spa features wonderfully-decorated beach houses with cable TV, iPod dock, and a balcony that overlooks the sea. Guests can enjoy a swim at the year-round outdoor pool or indulge themselves in various water activities, including diving and snorkeling. Great for all kinds of luxury travelers. Laru Beya Resort – A pleasant stroll from the beach, this elegant resort features luxurious guestrooms with state-of-the-art facilities and additional on-site amenities such as an outdoor pool, a private beach area, a multi-cuisine restaurant, and a wide variety of bar menus. The warm and friendly staff at the resort can help arrange for excursions to Mayan ruins and water activities such as fishing and diving. Sea kayaks and bicycles can be rented for free. Perfect for all kinds of travelers. 25 miles long and a mile wide, Ambergris Caye is located a few miles off of the main coast of Belize and is surrounded by the Caribbean Sea. The Caye is also located extremely close the Great Blue Hole Barrier Reef – a UNESCO World Heritage Site and the largest of its kind in the Northern Hemisphere, the reef extends from Mexico in the North and Guatemala in the South with Belize at the center. 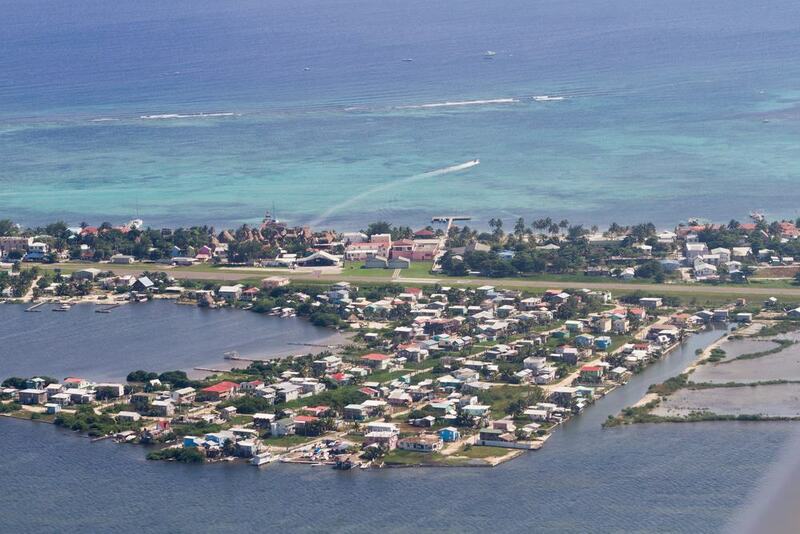 San Pedro, the main town of Ambergris Caye, is named after Saint Peter, the patron saint of fishing. Despite being one of the most visited places in Belize, the Caye remains largely natural and aloof from over-urbanization. The laid-back atmosphere around the neighborhood makes it one of those places in the world which sees a lot of repeat visitors. While Ceviche is the most prominent dish on the Caye, you have to try the Mayan Buffet and the lobsters. Other Highlights: Hol Chan Marine Reserve, Bacalar Chico National Park and Marine Reserve, Belizean Arts, Paddle Boarding, El Diablo Bar & Aqua Park, and Belize Chocolate Company. Brahma Blue – Within a 10 minutes’ walking distance from the beach, Brahma Blue offers spacious, non-smoking guestrooms with up-to-date facilities along with on-site amenities such as a 24-hour front desk, an outdoor pool, a hot tub, barbecue facilities, and a private beach area. Canoeing is a highly popular activity in the area. Perfect for all kinds of travelers, including big groups of up to 6 members. Mahogany Bay Resort and Beach Club, Curio Collection – A 4-star property with a private beach and a stunning outdoor pool, Mahogany Bay Resort and Beach Club, Curio Collection is one the most sought-after luxury properties in the area. Rooms and suites here are fitted with hardwood/parquet floors, TV with streaming service, and ensuite bathroom. The on-site multi-cuisine restaurant offers vegetarian and gluten-free options for guests with special dietary needs. Great for all kinds of travelers, including big groups of up to 6 members. Isla Bonita Yacht Club – A minutes’ walk from the beach, Isa Bonita Yacht Club offers expansive, wonderfully-designed guestrooms with modern facilities and services. Guests here can enjoy the on-site swimming pool, the well-manicured garden space, and the barbecue facilities. Complimentary Wi-Fi is available throughout the property. Suitable for solo travelers, couples, and small families. 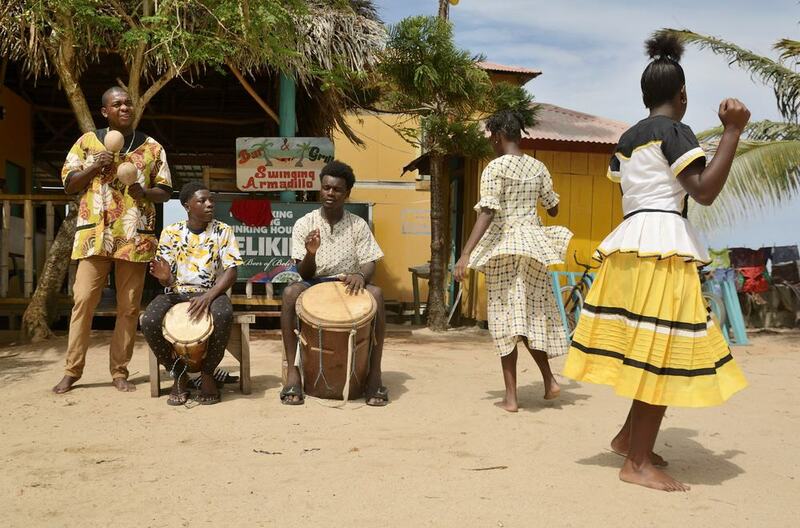 Predominantly known for its Garifuna culture and heritage, Hopkins, a traditional Garifuna village, is home to the country’s Afro-Caribbean population and a UNESCO accredited ethnicity which has been declared as an Intangible Cultural Heritage of Humanity. Along with its intriguing culture and lifestyle, Hopkins is also home to several pristine beaches and exciting activities, including snorkeling, fishing, scuba diving, and jungle tours. Gladden Spit, an exclusive dive site with outstanding diving and snorkeling, is only 45 minutes away from the area. Come here between March and June to get a chance to swim with whale sharks at the Gladden Spit. Rumors have it that Mayans of Central America were the first to discover cocoa in 900 A.D. While there is no proof of that being true, you could still indulge in a chocolate-making lesson using traditional methods supervised by none other than the indigenous Mayans (or their descendants). Other Highlights: Learn Garifuna Drumming, Snorkeling or Sailing the Caribean Sea, Maya Center Village, Mayflower Bocawina National Park, and Day Trip to Mountain Pine Ridge Forest Reserve. Bocawina Rainforest Resort – Nestled among a lush tropical forest, the splendid eco-friendly resort property channels its energy from solar panels and hydropower. The well-illuminated guestrooms sport classy wooden furnishings with colorful beddings, hardwood floors, and private bathroom. The on-site diner serves an international food menu and offers a full-service bar. Ziplining and rappelling through waterfalls can be arranged. Great for all kinds of travelers. Thatch Caye Resort – Boasting a multi-cuisine restaurant and a private beach area, Thatch Caye Resort is set on an exquisite private island. This astonishing property features a 180-degree view of the surrounding sea and welcomes its guests to enjoy kayaking and on-site diving. All the cottages at the premises feature a rooftop deck. Suitable for all kinds of travelers. Parrot Cove Lodge – Located between the rainforest and the barrier reef, Parrot Cove Lodge offers well-appointed guestrooms and suites with latest facilities such as free Wi-Fi, cable TV, and tea/coffee maker. The property also features an outdoor pool, a well-manicured garden, a gourmet café with a daily menu, and a terrace. Bicycles, kayaks, and paddle boards can be rented for free. Perfect for all kinds of travelers. 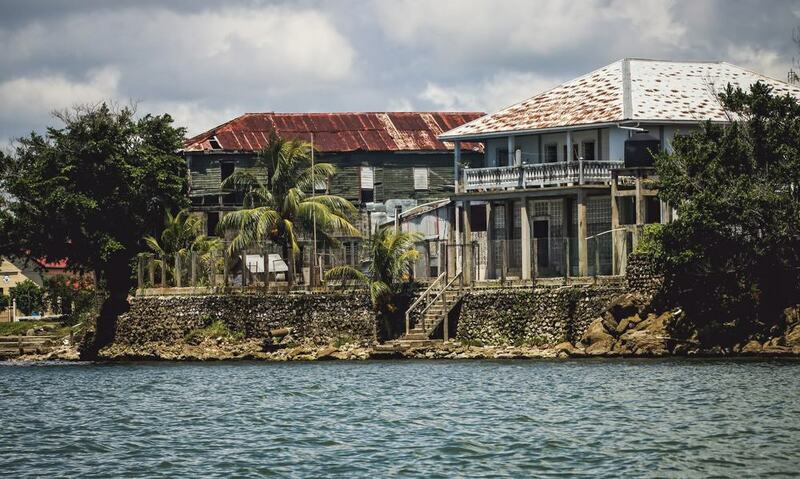 Situated at the far end of the famous Toledo district of Belize, Punta Gorda, commonly known as PG, is a tranquil escape from the otherwise populated coastal towns in the country. But, don’t let its calmness and serenity fool you for this place offers some of the most distinctive Belizean experiences that the other parts of the country would find hard to compete with. Garbutt’s Marine, a short boat ride from PG, is an excellent spot for fly fishing, snorkeling, and cave expeditions. Unlike the Northern Cayes, you are most likely to have the beach to yourself with little to no other tourists. Unwind yourself with a drink at Garbutt’s patio while the friendly iguanas relax in the sun. Big Falls is a great place to go ziplining over the Rio Grande and spot some brilliant wildlife. Good for: All kinds of travelers . Other Highlights: TIDE Tours, Warasa Drum School, PG Town Market, Living Maya Experience and Big Falls Tubing, Rio Blanco National Park, and Blue Creek Cave. Coral House – Featuring an outdoor swimming pool and a well-manicured garden, Coral House is located in the heart of Punta Gorda. The property features fully-furnished guestrooms with latest amenities. Every room comes with a balcony that offers a pleasant view of the surrounding sea. A complimentary breakfast is served every day. Suitable for all kinds of travelers. The Sea Front Inn – Located across the road from the vast blue waters of Caribbean Sea, the Sea Front Inn is a charming holiday property surrounded by greenery and nature. The comfortable guestrooms at the property come with the great amenities such as cable TV and free Wi-Fi. Additional facilities include a 24-hour front desk, an on-site restaurant, and free bike rentals. Great for all kinds of travelers. B&B SunCreek Lodge – Boasting complimentary Wi-Fi, a terrace, free parking and barbecue facilities, B&B SunCreek Lodge offers well-appointed guestrooms with features such as wardrobe/closet, hardwood floors, refrigerator, and private bathroom. There is a shared kitchen for guests who wish to prepare their own meals. Perfect for all kinds of travelers. With a country that is so blessed with an immaculate landscape, why would anyone want to stay in a city? Well, for starters, it offers plenty of economical accommodation options and has close proximity to several interesting things to see and do nearby. 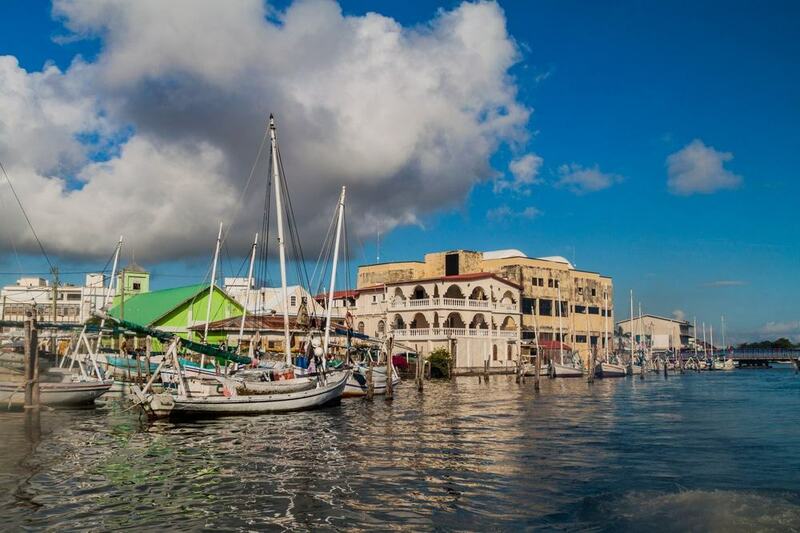 Belize City, the largest metropolitan in the county and one of the safest, is home to great hotels, amazing casinos, and of course, the Museum of Belize – set within the iconic Queen Elizabeth’s prison, it is easily regarded as one of the top 10 things to see in the country. Another notable attraction in the neighborhood is the Belize Zoo. This zoo place only keeps and cares for rescued animals who are native to the country and are free to wander around large spaces instead of being held in small cages. If you have time, take a scenic tour around the city and get acquainted with Belize’s architecture, culture, and economy. Other Highlights: Altun Ha Archaeological Site, Old Belize, Goff’s Caye, Crooked Tree Wildlife Sanctuary, Cave Tubing, and Zip-lining. Villa Boscardi – Set in the heart of Belize City, this luxurious hotel boasts wonderfully-designed guestrooms, a fabulous complimentary breakfast buffet, and a common kitchen. Multiple dining facilities are located near the property. Philip S.W. Goldson International Airport is within a short drive from the hotel. Great for all kinds of travelers. Radisson Fort George Hotel & Marina – One of the most sought-after holiday properties in the neighborhood, this exclusive hotel features wonderfully-designed guestrooms, an outdoor swimming pool, a business center, a workout center for fitness lovers, a beautiful outdoor seating area, and delightful restaurant and bar. An optional breakfast is available daily. Perfect for all kinds of travelers. Best Western Plus Belize Biltmore Plaza – Featuring world-class facilities such as an outdoor swimming pool with lounge chairs, a fully-equipped fitness center, a well-designed meeting space, an on-site souvenir shop, and a full-service bar and restaurant, this vogueish hotel welcomes guests to relax in their well-appointed guestrooms a short drive from the Belize City Airport. Suitable for all kinds of travelers. 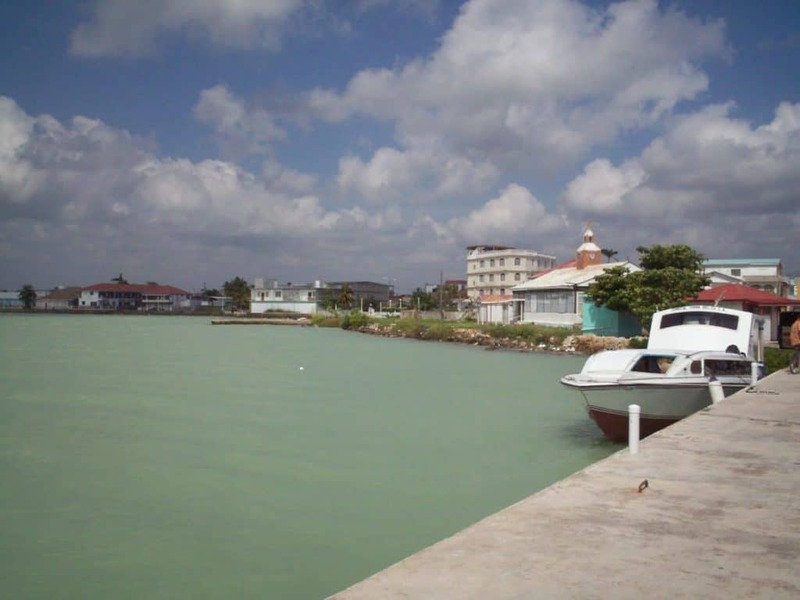 The northernmost district in the country, Corozal has been a hidden gem for too long, but all that is changing now, as this border town slowly makes its way into the limelight with its focus on eco-tourism and the local Belizean way of life. Once thought to be a part of the Maya site of Santa Rita, the neighborhood is home to the fishing villages of Sarteneja (the largest in the country) and Consejo which has been attracting visitors to experience the authentic lifestyle. Gradually developing into a hotspot for expats, the Maya site of Cerros in Corozal is the only one of its kind on the coast. Shipstern Nature Reserve, spread across 27,000 acres of land, provides refuge to Belize’s five cat species and the endangered Baird’s Tapir (a.k.a Central American tapir). Other Highlights: Corozal House Of Culture, Four Mile Lagoon, Cerros Mayan Ruins, and Santa Rita Archaeological Site. Almond Tree Hotel Resort – Just a minutes’ walk from the beach, this remarkable resort offers wonderfully-decorated guestrooms with world-class amenities. All units come with a balcony or terrace overlooking either the well-manicured gardens or the outdoor swimming pool. Rated very high among the best-located properties in Corozal, Almond Tree Hotel Resort features a well-stocked bar. Great for all kinds of travelers, including big groups of up to 5 members. Las Vegas Hotel & Casino – Giving luxury and extravagance a whole new meaning, this lavish hotel features an outdoor pool with sun loungers and poolside beds (at an extra cost), a hot tub, a beauty salon, live entertainment, and a 24-hour front desk. Guests here can enjoy wining and dining at the in-house restaurant and bar and visit the on-site casino to try their luck. Perfect for all kinds of luxury travelers. 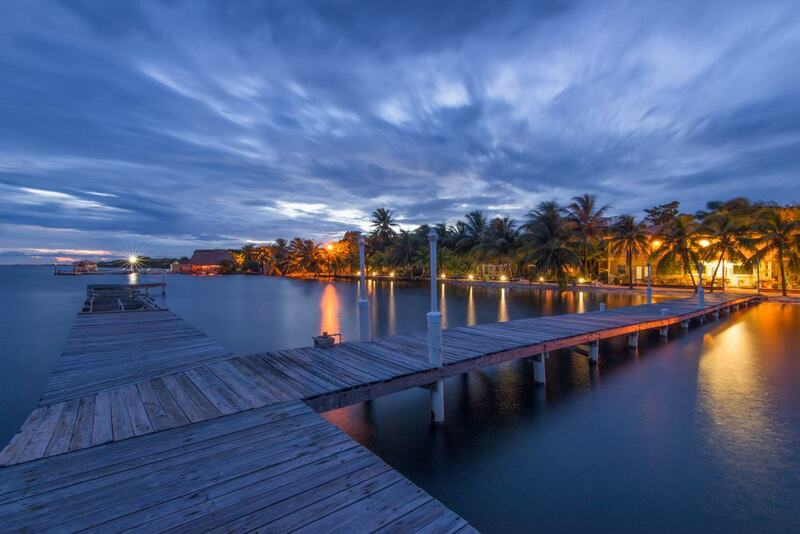 Tilt-TA-Dock Resort Belize – A stone’s throw away from the coast, this adult-only beach resort features outstanding sea-facing bungalows with facilities such as cable TV, barbecue facility, tea/coffee maker, and private bathroom. Complimentary Wi-Fi can be accessed throughout the property. Guests can spend the day fishing or canoeing in the waters and relax at the lounge chairs by the sea to experience beautiful sunsets. Great for couples.